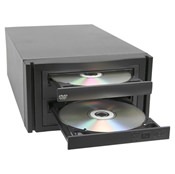 We stock Blu-ray, DVD and CD duplicator towers from the biggest names in the business! 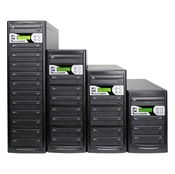 These towers are capable of burning multiple discs simultaneously. 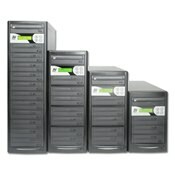 Towers are available in multiple sizes and configurations. Choose from 1 to 11 high-speed recording drives to meet your needs. For hands free operation choose the AV Pro Cube series. Save time by storing multiple master images on the huge hard drive. Increase production by recording on multiple high-speed drives at once! 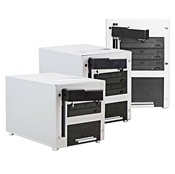 The Accutower by US Digital Media is available in a wide range of sizes and configurations to meet every production demand. 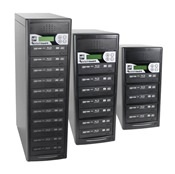 Choose from DVD/CD or Blu-ray towers with one to fifteen recording drives for maximum disc production. Our most popular towers are the models with 3, 5, 7, or 11 burners. 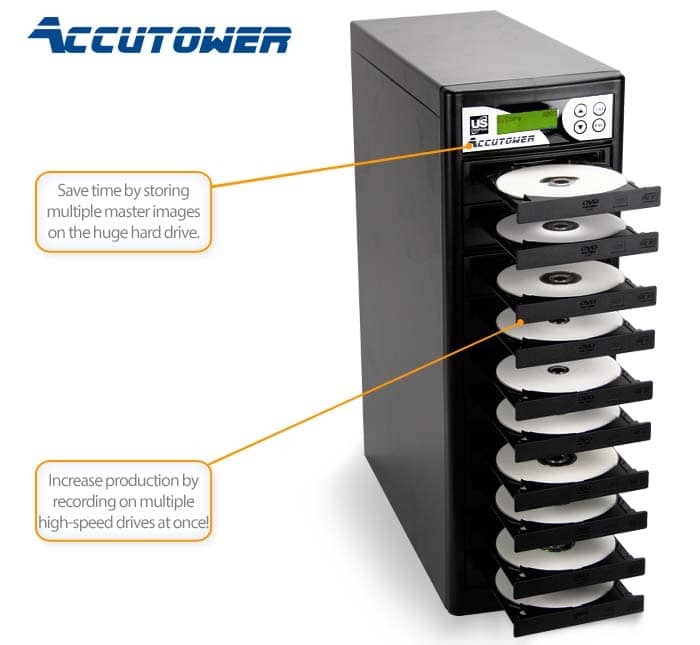 Accutower duplicators are assembled with major brand name drives such as ASUS, Pioneer, SONY, and LG. 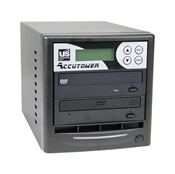 These are the best drives in the industry and will provide years of trouble-free duplication. The four-button controller with backlit LCD screen is very easy to use, even for beginners. Best of all, every Accutower purchase includes our free lifetime tech support for as long as you own the product! 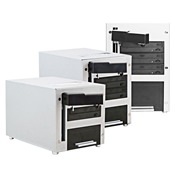 When you need both value and quality, the Accutower duplicator is the one to trust! Easy to use backlit controller is loaded with features for both beginners and advanced users. Enjoy peace of mind with a full one-year warranty and free lifetime tech support!